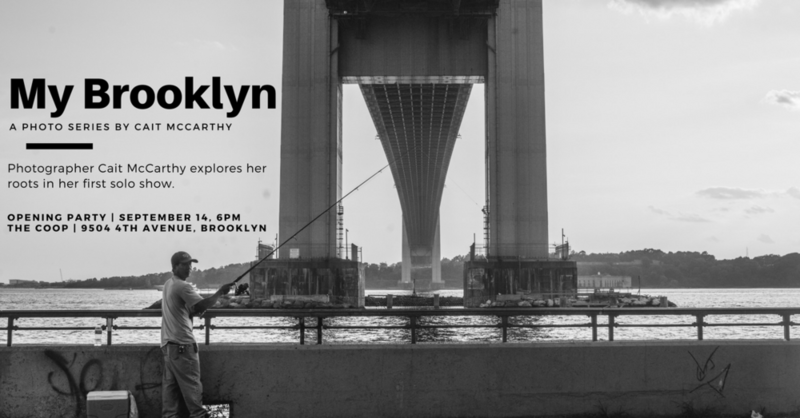 This Thursday, September 14th, I will be celebrating my first solo show at The Coop in Bay Ridge. The series on display, MY BROOKLYN, is a grasp at object permanence in one of the fastest transforming landscapes in the world. In plain speak, its me running back to my roots. In part, I wanted to know I can still recognize the Brooklyn of my childhood. In between the hip coffee shops (that I guiltily edit in, sure) and the adorably new rustic bars with overpriced cocktails (delish), are the same bodegas and Irish bars I've loved since I was seven. For now, My Brooklyn is still around, if not for long. For Now. As I start to plant my roots elsewhere (hello, Northport) the Brooklyn in me tugs, and gets smaller. Every time I come home - it is still home - it looks different. Which it always will be. It is the nature of the beast. We love Brooklyn because of its seasons, its waves. New cultures, new neighborhoods, new foods, new businesses. New is good. Brooklyn loves new. For someone who always talks a whole lot of documenting the real, honest moments in life (why I love families and portraits - more on that later), I have been pretty unwilling to offer up what I've been serving. Until now. Stop by, say hi, and see what about Brooklyn makes me all fuzzy inside.